The team of advisers all work from home on a part time basis 3 or 4 days a week. Their role takes them regularly out and about across the areas that they cover. To contact the adviser covering your area, email them or call them using the contacts below. If they are going to be out of their office for a few days or are on leave you will get a reply letting you know when they are next available. You will also be given the option to contact another member of the team who can talk to you in their absence. Kendra covers the Mildands, Suffolk and Hereford. Kendra is in the office Tuesday to Thursday. Christine covers Yorkshire, Cumbria, Durham and Northumberland. Christine is in the office Monday to Wednesday. Maureen covers Greater London, South East England. Maureen is in the office Monday to Thursday. Melanie covers the South West of England. Melanie is in the office Monday, Wednesday & Friday. Lynn is in the office Tuesday to Friday. Ellie Russell, TSA Adviser for Wales. Ellie is in the office Wednesday to Friday. Claire Kirk, TSA Adviser for Northern Ireland. Claire is in the office Wednesday to Friday. We aim to grow so we can reach even more people. 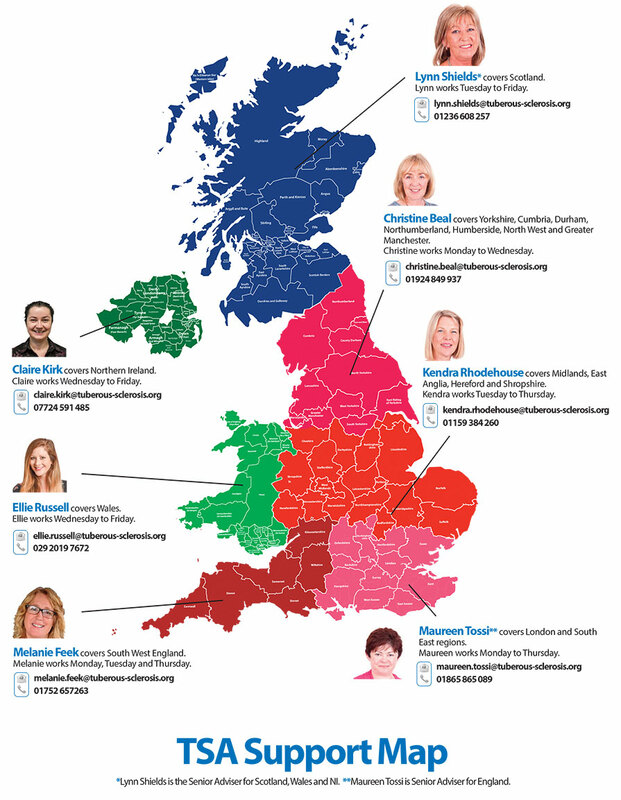 If we don’t have an Adviser who covers the area you live in please get in touch with your nearest member of staff. Unless indicated, please write to your local adviser at: Can Mezzanine, 32-36 Loman Street, London, SE1 0EH.